If you had access to a crash test facility, whenever you weren’t smashing cars you’d probably be spending all of your free time thinking of other things you could launch at a wall at 120 miles per hour. Like toys, which the good people at Switzerland’s Dynamic Test Center did, and were kind enough to film and share the resulting destruction with the world. Unlike cars, whose occupants can survive even a horrific crash thanks to modern safety features, the toys in this video didn’t stand a chance. A jolly plastic Santa is turned into flying shrapnel, while Barbie unfortunately loses both of her legs when her dream car meets its nightmarish demise. 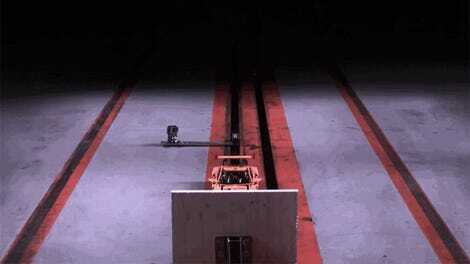 Why are crash tests so incredibly satisfying to watch?